I’m a busy lady as most of us are so I don’t always have time to get to the nail salon. I am always looking for a good glitter polish because you don’t have to worry so much about chipping because its glitter and isn’t that noticeable. I found one of my favorites! It is called: Rebel Graffiti by Revlon and I purchased it at Walmart ! I love this polish it’s chic and dries quickly with a Top coat. I used OPI’s Top Coat! 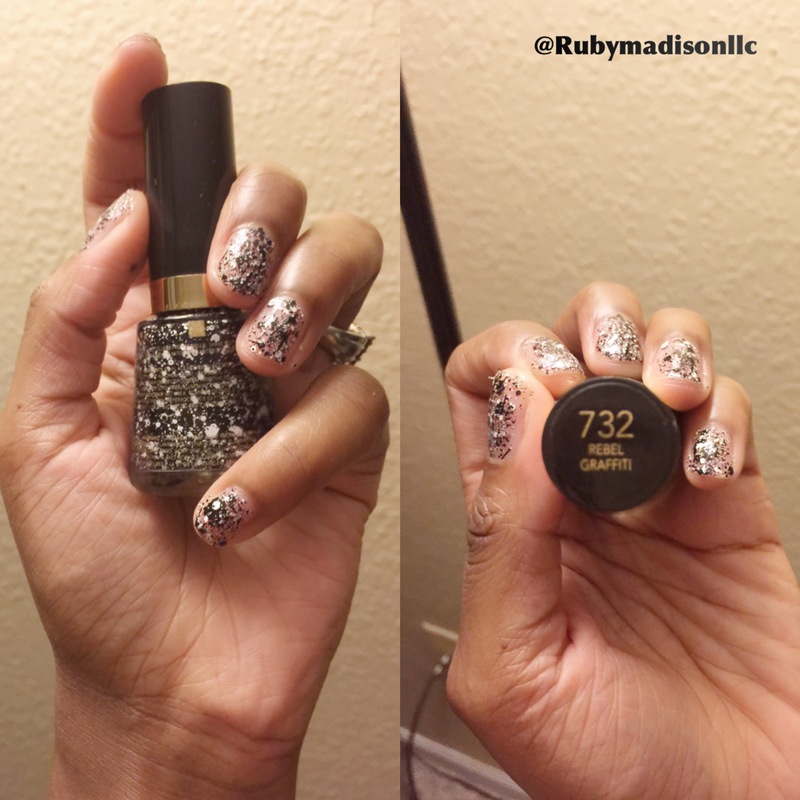 Categories: Fashion | Tags: beauty, fall fashion, glitter, nail polish, opi, revlon, sparkle, style | Permalink.